Learn to beautify and balance your space with this first-of-its kind card deck. 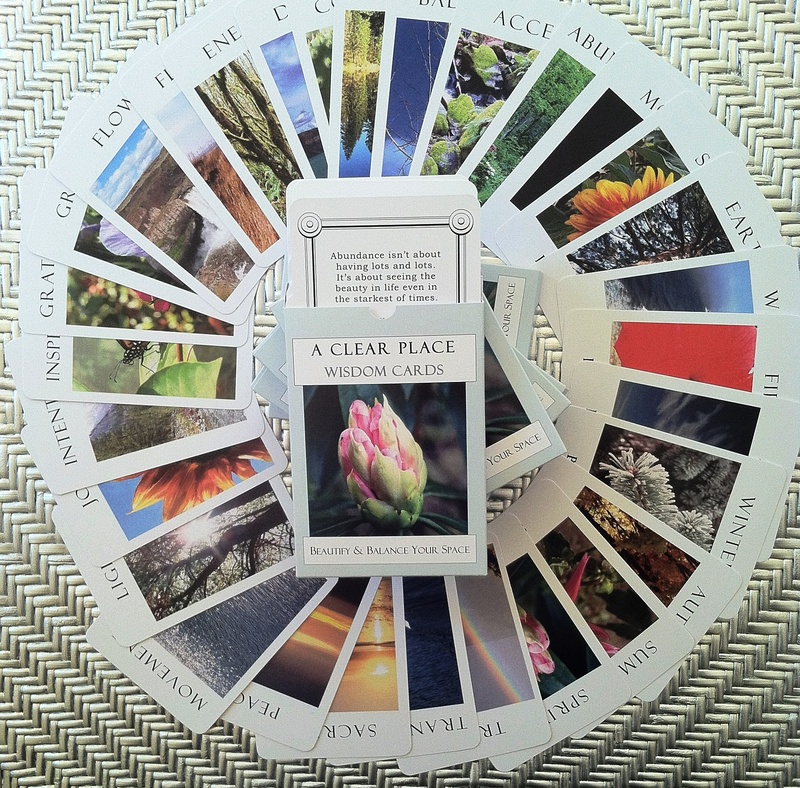 Each card features a stunning photo from nature on the front and corresponding wisdom on the back – 34 cards in all. Printed in the USA using 100% wind power and non-toxic soy based inks, these cards are aqueous coated for sheen and durability. Use them daily for guidance. Display a card to add its energy to your room. Pick a card for answers to puzzling situations. Find simple solutions for home and life challenges. Connect with the energy of the Seasons, the Elements and 20 Focus qualities including Clarity, Comfort and Trust. Harness the energy of Mother Nature and learn things like which Season is best for clearing clutter; what colors add passion to your place; what images bring joy to your decor; which essential oils can give you a mental boost. Whether you live in a tiny studio or an old mansion, you’ll learn how to renew and love your space. EVERY HOME HAS A JOY FACTOR. HOW WOULD YOU RATE YOURS? The perfect gift for homeowners, downsizing, newlyweds, clutter control, nature lovers … and anyone in transition wanting to create balance! 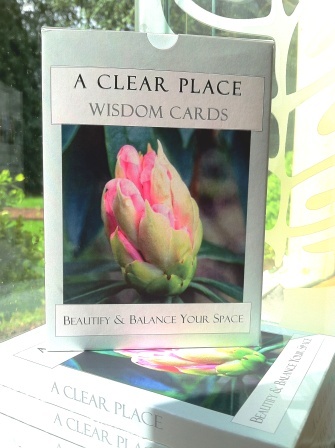 Click here to read a sample blog post featuring the wisdom cards! Only $20 + shipping. Discount for multiple orders. Contact Jane to order.